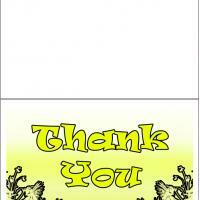 These are good free printable cards to thank people who came to your party. 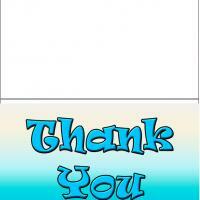 These simple printable thank you cards feature two sets of balloons and two sets of party hats in the corners. 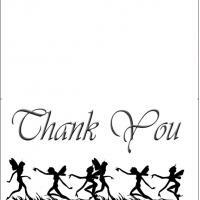 Thank you is written in a red and white font on a pink background. Print this card and you can add an extra personal message if you wish. Let people know you appreciate them with a cheerful thank you.